Who doesn’t attract by getting a good discount? Black Friday is around! So, what you have planned to shop this time? 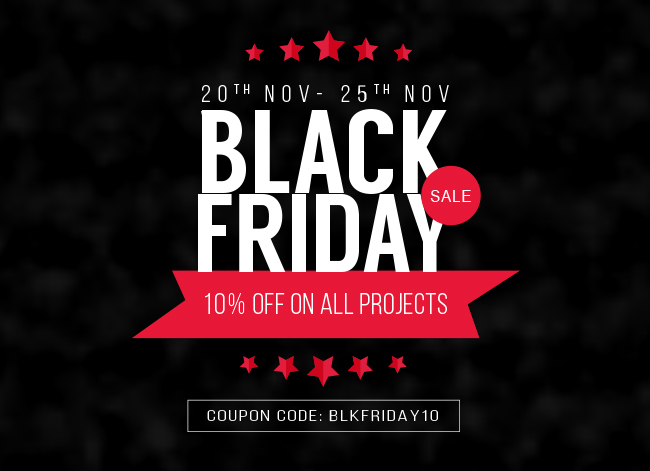 If you own a business then having a hefty 10% discount on all projects would be an added advantage. You got it right! We are talking about our amazing Black Friday deals that have been unveiled and available for clients from 20th November 2018 to 25th November 2018. Anyone who is interested can reap the advantage of our offered 10% discount advantage by using the Coupon Code – BLKFRIDAY10. NEXT PostSpecial Wishes on this Thanksgiving!